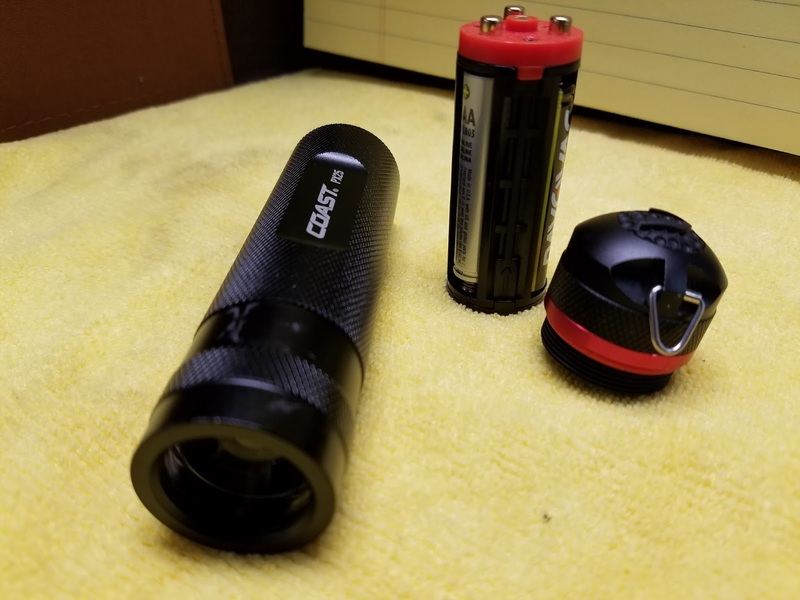 A good, small flashlight is a great addition to any EDC. I've gathered a small selection of examples that have been in and out of my EDC over the past 2 years. Hare are my thoughts on each. 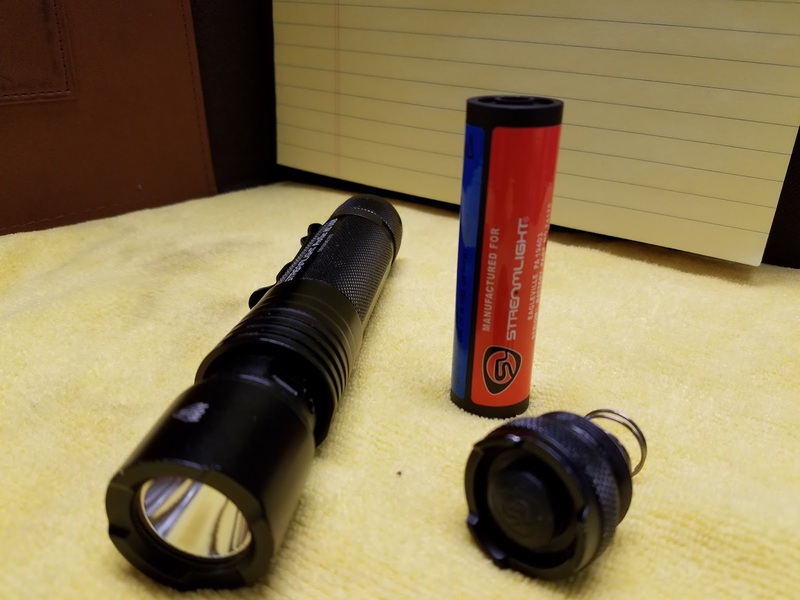 This was the most expensive flashlight, and one of the least suited for EDC duty, due to it's size. This is the Streamlight ProTac HL3. With a C4 LED putting out up to 1100 lumens and up to 36,000 candela, this light is quite bright. Using Streamlight's 10-tap programmable tail-switch, you can use Full power, low power and strobe modes. The other issue with this light is that it uses 3 CR123A lithium-Ion batteries. The next light is the Coast HP7. At up to 360 lumens in High mode and 50 in low mode, this light is fairly bright. It's sliding "Pure-Beam Focusing" head changes it from spot to flood light mode. It does use 4 AAA batteries, so it is rather hungry, but it's a nice light to keep in the car. Again, the tail-cap switch is nice. And it takes a bit of effort to click it, so it won't turn on in your pocket. 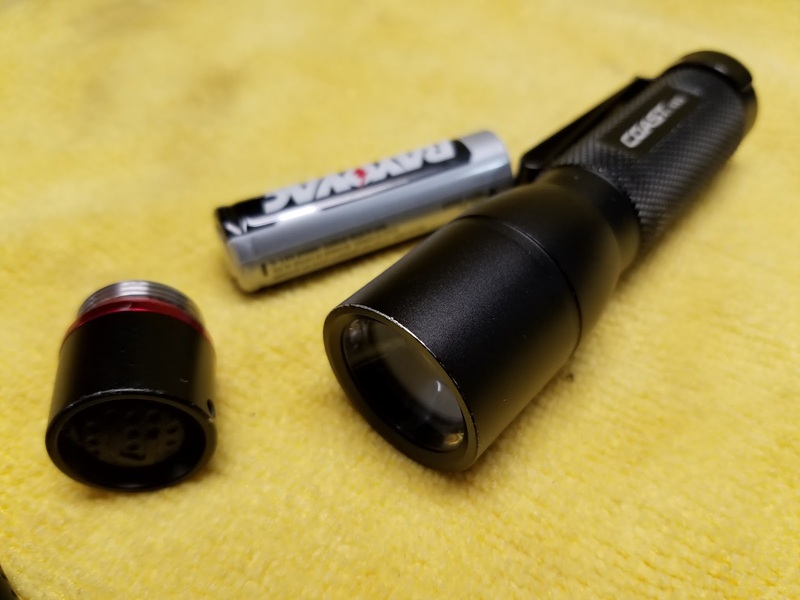 This Coast PX25, at 275 Lumens, is a nice EDC pocket-sized light. Using 3 AAA's, it's not too expensive to keep going, either. You can see a trend here. 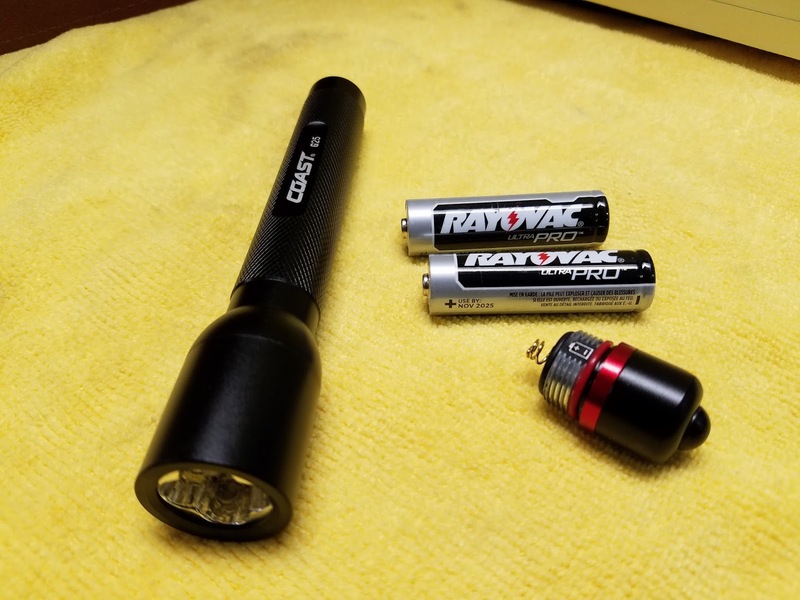 The Tail-cap switch makes this a nice pocket light. 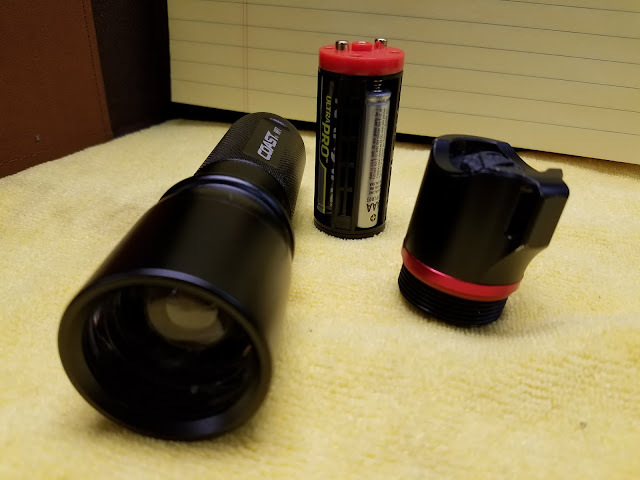 This Streamlight ProTac HL USB is my favorite light I own, even if it is a tad bulky to carry in my pocket. At up to 850 lumens, it's pretty bright. 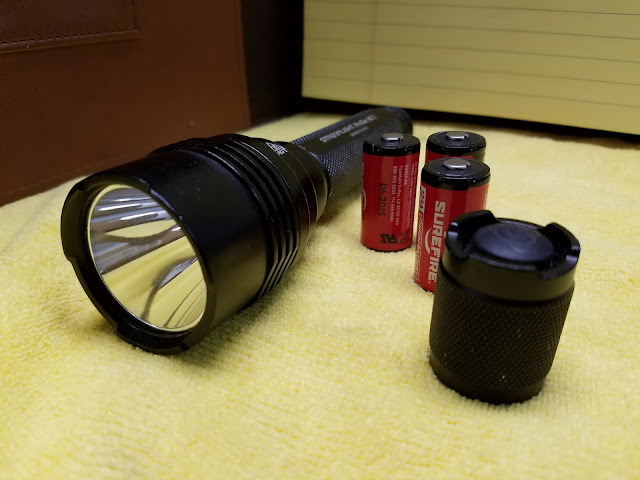 It uses Streamlight's Strion Lithium-Ion battery, or alternatively, an 18650. Recharged by a Micro-USB cable. It uses the same 10-tap programmable tailcap switch that the ProTac HL3 above takes. The small 200 lumen MagLite XL50 is a nice little compact lite. It's got a 3-mode tailcap switch, which takes a light touch to operate. This did prove to be a problem, as it turned itself on in my pocket often, draining it's 3 AAA's frequently. Other than that, it's a great light. This 83-lumen Coast G25 light, recently replaced by the G26, is a decent light, though it doesn't have the longest throw. And the tailcap switch does tend to get bumped and turn the light on on it's own, draining the 2 AA's. This Coast PX20 Dual-Color light is the perfect size for an EDC light, but it's side-mounted switches for both white and red light make it less-than-ideal for battery life, as it turns itself on often. 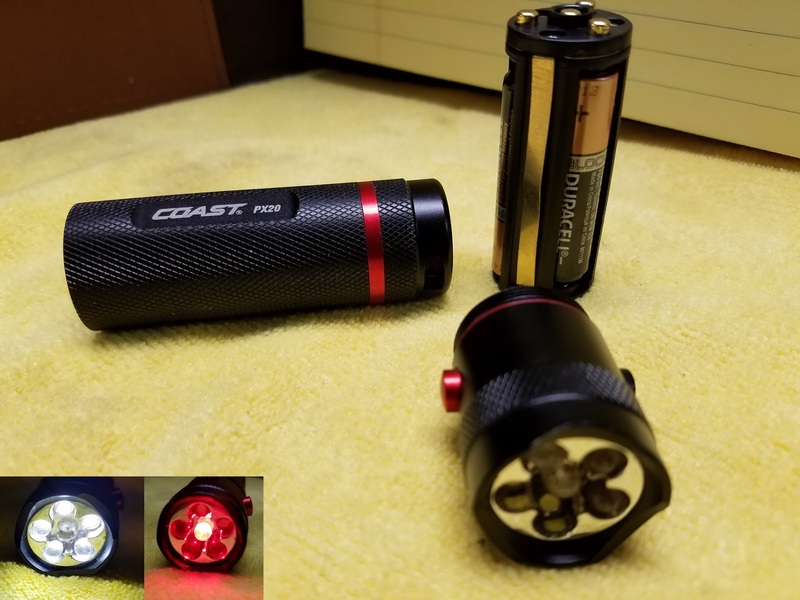 This Coast HX5 is my current EDC light. It's a simple, 130 lumen, slide-focus light. 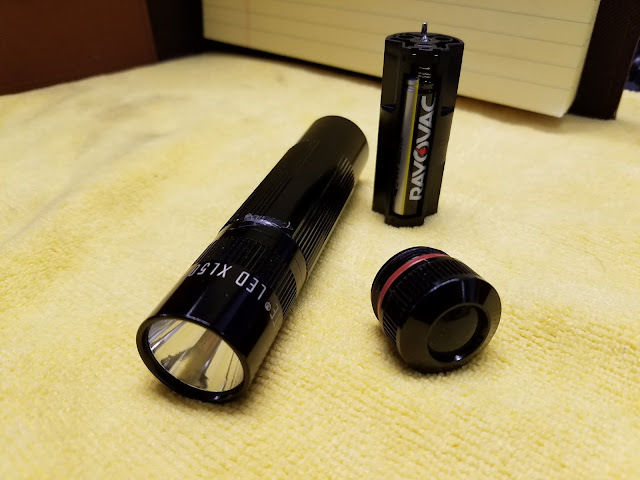 Using a single AA battery and a nice tailcap switch, it's perhaps the perfect EDC light. It's clip lets it become a hat-light, as well. 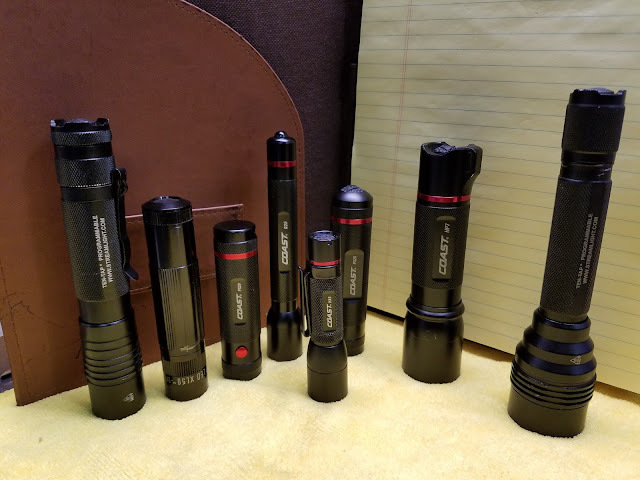 Check back for more EDC posts, and gear reviews!